When I wrote about the Oceania Marina yesterday (see blog below) I had no thought that the voyage would make the National News that night. Perhaps a bit of interest about the *first* cruise of the season might make some local newscast. But, what caught the eye of the national network was the fact that the ship (and, of course, its passengers) landed in the middle of a snow storm. Probably the possibility had been mentioned. After all, one does not set out on an Atlantic cruise without the chance of poor weather. And, the cruise ship, with its myriad of dining options, would be a nice place to hole up. I know I would have no trouble saying that I would just get to a restaurant or two earlier than I had planned on the twenty-eight day trip. No problem. Which is newsworthy enough for me, who was out shovelling at 6:30 this morning. At one time I shared a whole house with four other people. Two were in the process of becoming lawyers. I noted that most of their stories did not contain much whimsy. The following is a story one of the fellows told us. I, of course, make up the dialogue but, though fiction, it is based on his facts. “I don’t mean to stare – I apologise. I’m not in the habit of doing this, but you remind me of someone. That has to sound like a line – the look on your face. But I’m not after …. “Have you ever been in the train station at Place Ville Marie in Montréal? The escalators that come up by the Queen Elizabeth Hotel. I had a lot of travel to get to work when I lived in Montréal, and made train and bus connection. “No, thanks. I don’t want another. “One morning – a Thursday – as I was going up the escalator, I saw a girl coming down from the street. She had short red hair – that’s the main reason I’ve been staring – and a green skirt with a white blouse. Coming down that escalator, with that wide space between us. She was looking at me the way I was looking at her – interest and excitement and whatever potential that leads to. We stared into each others eyes as we came level, and craned to look back as we passed. “I guess I’ll have another of the same, after all. “That was stupid enough. I should have jumped that barrier, or at least gone down after her. But I had a job, and was young, and things like that just don’t happen. “Next morning, even though I was looking for her, and hoping so much, I couldn’t have been more shocked by a ghost when I saw that red hair. She had that same look – of shock. “God, to be so unsure of what to do, and stupid to the ways of the world, and even to have that stabbing thought that it can happen again tomorrow. We stared and stared, you could almost feel electricity between us. At the top I waited as long as I dared, hoping she would come up. I had to get my bus, and just jumped it as it was pulling away. “That was a Friday. I sweated through the weekend, full of grand plans about telling her to wait, or to come up to me, or yelling my phone number. She wasn’t there, of course, on Monday or any other day. I looked the rest of the summer, then it was back to university. This is something to cite when its time to promote my novel, Kafka In The Castle. Come to think about it – it is worthy of a blog. I side with the judge’s statement. Perhaps Kafka would have not pointed at this situation and said “I told you so”. But, he would have smiled in recognition. However, if one sticks to the Urban Dictionary definition of “Kafkaesque”, then The Trial would not fit. 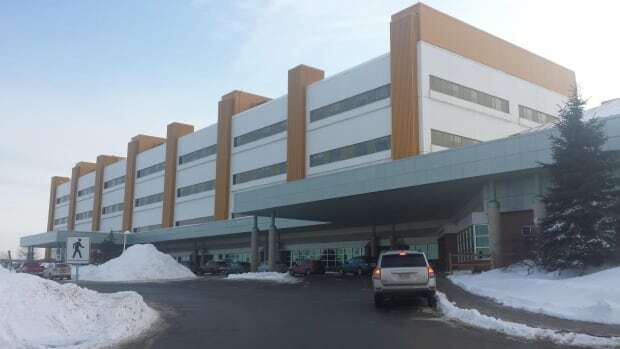 In a sometimes bizarre court hearing that eventually boiled down to an interpretation of the century-old writings of novelist Franz Kafka, a Fredericton hospital employee who disappeared from work without notice for several weeks has once again won the right to keep his job. Paul Lynch, an environmental services worker or cleaner at the Dr. Everett Chalmers Hospital initially won reinstatement to that position last winter after a labour adjudicator ruled his absence and firing had been the result of a “Kafka-like” situation he had fallen into. That triggered an appeal from the local health authority, in part questioning the adjudicator’s understanding of Kafka, the Prague-born author whose works include The Castle, The Trial and The Metamorphosis, a literary dispute then taken up by Court of Queen’s Bench Justice Hugh McLellan. “I am not persuaded that the adjudicator’s expression ‘Kafka-like’ indicates error in his perspective or unreasonableness in his decision,” McLellan concluded. Lynch had worked for the hospital for 12 years but failed to show up for his regular shift on November 13, 2015. He was eventually fired after five weeks of unexplained absences. It was later learned Lynch had been in jail the whole time and was unable to call the hospital. Three hours before his shift was to start he had attended court to face an impaired driving charge. He entered a guilty plea and although he expected to return later for sentencing, it was his seventh conviction and he was instead taken into custody on the spot. Inmates are not permitted personal calls and Lynch was unable to make direct contact with the hospital during his 97 day stay in jail. That, according to adjudicator John McAvoy, was right out of a Franz Kafka novel. “No one who is convicted and sentenced to imprisonment for a limited term in New Brunswick should face the Kafka-like situation faced by Lynch in respect of his inability to contact his employer,” wrote McAvoy in ordering the hospital to reinstate Lynch. In appealing that decision to the courts, hospital lawyer Andrea Folster said McAvoy’s decision lacked “intelligibility” and especially panned his reference to Kafka. “These extreme comments reflect the lens through which the Arbitrator deliberated this grievance and the overall unreasonableness of the Decision,” she argued. A “Kafkaesque” situation more accurately describes something nightmarish … strongly surreal … with an ethereal, evil, omnipotent power floating just beyond the senses … marked by surreal distortion and often a sense of impending danger,” Folster said citing the Urban Dictionary’s definition of the term. But Justice McLellan had his own view of the literature. “Kafka characters struggle against rules and forces that cannot be understood,” he said and ruled he saw enough oddities in Lynch’s situation to conclude the Kafka reference was not unreasonable. “The result falls in the range of possible outcomes,” he said of Lynch’s reinstatement by the adjudicator. 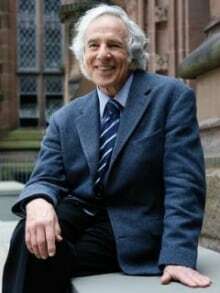 Princeton scholar and internationally renowned Kafka expert Stanley Corngold says he’s not surprised to hear the novelist became an issue in a New Brunswick court case — it happens frequently in the US — but advises against relying on any courthouse critiques of the writer. “I wrote a paper not long ago in which I said ‘it’s a 100 per cent guarantee that anyone who uses the word Kafkaesque has not read Kafka,'” said Corngold. The larger-than-life cruise ship, Queen Mary 2, was in Halifax for the day, and departed this evening. It probably gets special attention because of its grandeur. Also, the Cunard Shipping Line, nominal owner of the ship, was the creation of a Halifax chap, Samuel Cunard, back in 1839. The Cunard Line is now folded into the Carnival empire, but that’s business. 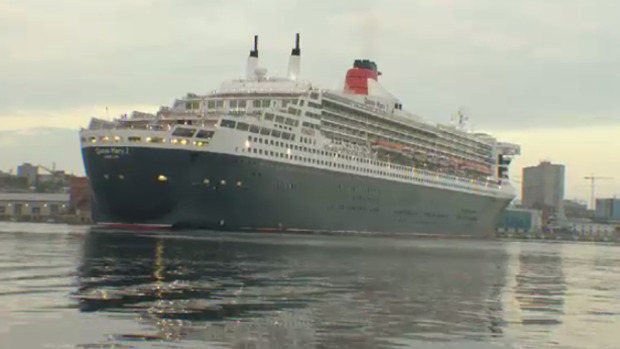 As The Queen Mary 2 left, it was escorted by a Canadian Navy Coastal Defence Vessel – the HMCS Summerside, a harbour fire boat spraying arcs of water, and even a helicopter flew overhead. It took its time leaving. I have written about the the launch of Queen Mary 2 in my novel Fame’s Victim. The main character of my novel, known as ST, is good friends with the actual Queen Elizabeth the Second, who launched the ship. ST and his lady friend, a famous actress whom he always refers to as Garbo (though she be not the actual Garbo) are on the maiden voyage of the Queen Mary 2. That chapter is below. ST extends his hand just as a volley of the extensive fireworks light up The Queen Mary 2 and the harbour side where she has just been launched. He flinches but the Queen does not. ST takes a side step as Garbo extends her hand. Garbo has been instructed that formal curtsies are not in fashion, but the actress in her makes her modified one very graceful. The Queen is obviously amused and pleased. “Is he attempting some sort of record, do you think?” The Queen points to ST. There is another eruption of fireworks, and they look into the dark sky. The vibrant colours flash against the side of the ship and sparkle on the water’s surface. Even before ST has agreed, ship’s crew and members of the Queen’s entourage have opened doors and produced umbrellas for the twenty second walk. Three abreast confuses those in attendance though the ranks quickly settle into place. As they approach the doorway ST executes a couple of half steps so the women go through the entrance without crowding. He then quickly returns to his place. ST assumes the Queen would know the powers of her own grandmother, but he wonders if anyone could rightly cost the grandeur that surrounds them. He and Garbo will shortly be taking a tour of the high points while the Royal party will be given a different tour of other high points. He has been told that a complete tour of all the high points would take ten hours. A leisurely inspection will take three days of their trip if he so desires. It is a far cry from the Concorde where twenty minutes served the same purpose. “Yes. Ma’am.” ST answers with less enthusiasm though he will give it a close examination, as he will no doubt be queried the next time they meet. The three of them now cross a wide and carpeted expanse where ship’s crew and invited guests line both walls. The Queen notes a decidedly younger crowd mingling together and glances at Garbo. As Garbo approaches the now-applauding group, the Queen slows her pace, making ST do likewise. Her voice is low enough to make him lean closer to her.